All surfaces within 3 feet of the kiln need to be fireproof. If you are going to locate the kiln somewhere that there will be non-fire-proof surfaces you can make them fireproof by covering them with cement board. Cement board comes in 4' x 8' sheets usually from Home Depot type places. It is used under tile floors and walls to cement the tile to. The thicker, more rigid style is better. Leaving a 1" gap behind the cement board on a wall will really help to keep the heat away from the wall. More difficult to put a 1" gap under the board for the floor. A double layer of board on the floor is best. 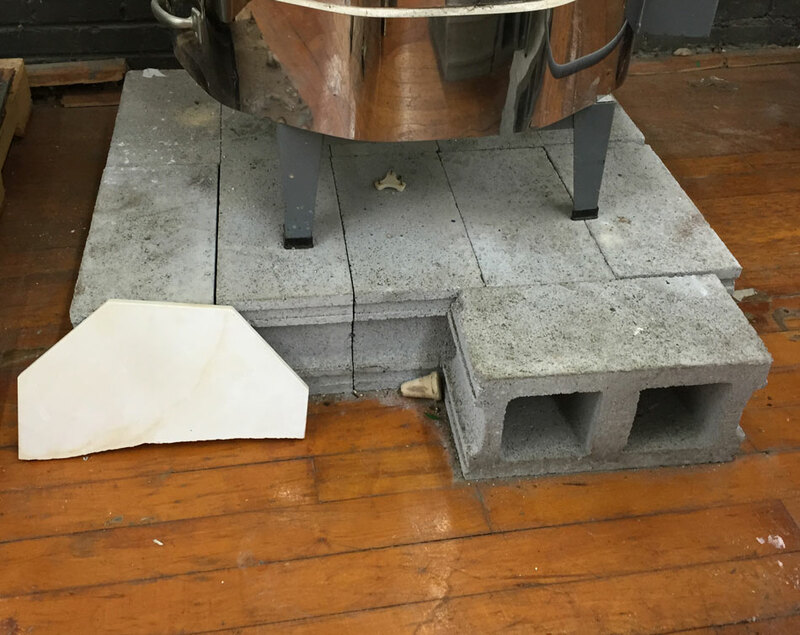 The board(s) on the floor should extend at least 12" out from the footprint of the kiln. You can even make it look nice and cement some tile over it all. another idea is to put cinderblocks under the kiln as shown in the photograph of an old kiln on a wood floor.